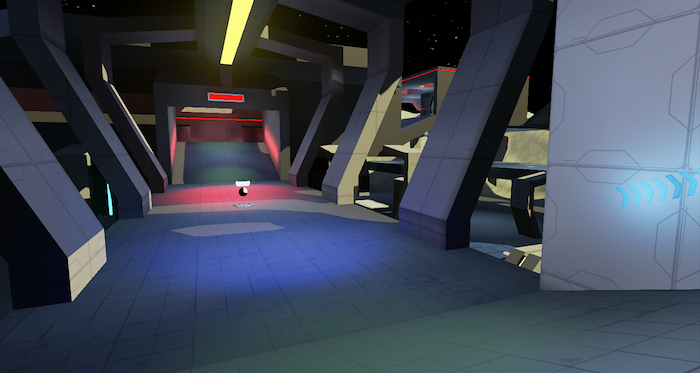 1st Blender asset for CTF-Atmos. 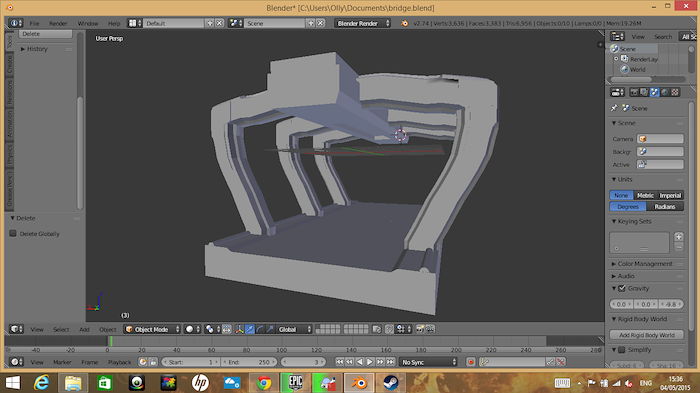 So I decided to start removing some of the BSP geometry and replacing it with static meshes, I'm still a learner when it comes to 3D model creation and I've been working in Blender when I have had time to experiment. Today I decided that I would create my first asset, to have a point of reference I selected all the geometry of the bridge section in the first image and exported it as an FBX file and imported it into Blender. From there I consulted a piece of concept art that I've been using as inspiration for Atmos (Credits: Nicolas "Sparth" Bouvier) to set the theme for the architecture of the bridge, the supports are based on the supports seen along the left of the concept piece, from there I created the model to size thanks to the imported BSP geometry. 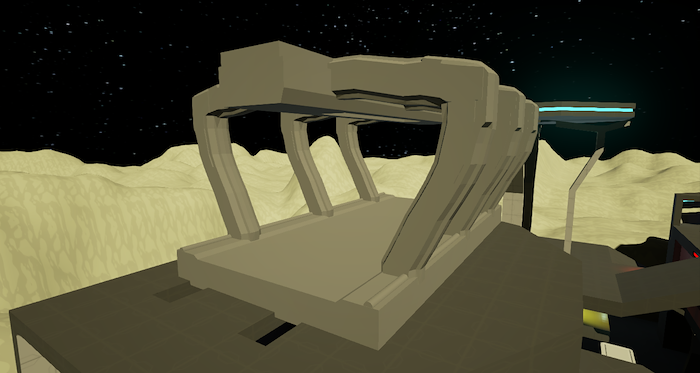 The final image is the bridge imported into CTF-Atmos, it will still need work but I feel this was a great first step for my personal development into 3D asset creation.